Showing results for tags 'ltm'. 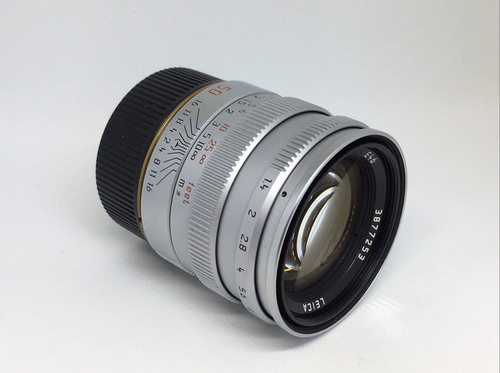 For sale is the LTM Summilux 50mm F1.4 Pre-A (11621), w/ a 6-bit coded adapter. Price: 1900 GBP, or its equivalent in Euro at the moment of sale. Cosmetically in excellent condition, with only minimal signs of use. Mechanically in full working order. Smooth focus action and aperture adjustment. Aperture blades are oil free. Optically in excellent condition. No fungus or haze, and minimal dust inside. Comes with: Lens x 1 6-bit coded brass adapter x 1 Leica front cap x 1 Generic M-mount rear cap x 1 B+W 46mm MRC filter x 1 Leica original leather lens case x 1 This lens was bought from a London-based Leica dealer last year. I'm only settling it, reluctantly, to fund another purchase. I don't have the original box, paperwork, or the original screw cap, which is reflected in the listed price. Payment: Bank Transfer Postage: Royal Mail Special Delivery (1pm) for UK addresses. International Tracked and Insured for EU addresses. Buyer pays for postage (not included in the listed price). Import duties/charges will not be covered. (0) Preface Confession: I like my Soviet Leica clones! There, I’ve said it! You may start throwing eggs and rotten tomatoes at me right here and now - or you may defer until you have read this piece with a little tongue-in-cheek Since this forum teems with true LTM experts (no irony here, I appreciate the knowledgeable and helpful members of this subforum), most of you may rightfully decide not to bother with these propaedeutic musings. No offence taken. Fig. 1: ca. 1955 FED-1(G), ca. 1951 KMZ Zorki-1b, 1932 Leica II(D), 1953 Leica IIIf(RD), harmoniously side by side. Although this whole post is is a bit off topic, I take the liberty to post in LUF, because even the Leica company museum in Wetzlar proudly exhibits an astonishing array of Leica clones, understandably, in order to underpin the desireability of the original. Hi. Used a Leitz M39 to Leica m Adapter on my M10 with a summaron 35/2.8 lens. The rangefinder coupling is not working and my M10 terminates the liveview witin seconds and sets back the manual lens selection to ‚auto‘. Does anybody have an explanation/solution? Thx a lot! I've used my Visoflex 1 on my '37 Leica II, fitted with bellows, to take macro shots but I've just put it on my IIIf along with a 200mm Telyt lens to check it over before I take it out for some alpine photography in a few weeks time. The problem is that although I can swing the camera through 90 degrees for portrait and landscape views, the camera is not horizontal or vertical, but off by a few degrees. This means that I can't get horizontal at all (unless I unscrew the Visoflex slightly), and I can achieve vertical but only by moving the camera off one of the Visoflex end-stops (I hope that makes some sense?!). Can I adjust the 'end stops' on the Visoflex so that I can ensure horizontal / vertical setting of the camera? If so, how? Thanks, David. Barnack Challenge #33: "Seen Through"
As the winner of the last round (Look up! Look Up!) it is my great pleasure to set the theme for the next Barnack Challenge. So for the Barnack Challenge #33 I have chosen the theme "Seen Through" The dates are: Taking pictures: Saturday 28th October to Sunday 5th November Posting pictures: Monday 6th November to Sunday 19th November Voting: Monday 20th November to Sunday 3rd December Good luck! Regards, Erl As a reminder here are the rules: The Barnack Challenge runs four times a year. It is open to all Leica User Forum members. In order to participate you must shoot a roll of film in line with a predefined theme within a defined period using a Screwmount or early fixed-lens Leica camera. You may use any lens, regardless of age or manufacturer, as long as it is LTM. Select your shot that in your view best matches the theme and post it onto a single thread set up for the purpose by the organiser in the Barnack Challenge Sub Forum. Post-processing of your image should be kept to a minimum - nothing that couldn't be done in a wet darkroom fifty years ago. You may post your image any size within forum rules. The thread will be open for postings but NOT for voting to allow all entries to be posted before voting starts. Your entries are not anonymous; feel free to post camera, lens and film details. Voting will then be opened. Votes may then be cast on the following basis: Three points for best, two points for second and one point for third. Voting runs for two weeks. One vote per member, no voting for your own image. The winner gets the right to set the theme for the next Barnack Challenge. ------ Als der Gewinner der letzten Barnack Challenge, (Autoportrait / Selbstportrait) moechte ich hiermit das Thema fuer die naechste Challenge bekanntgeben: "Tones, Tones, Tones!" (Töne, Töne, Töne!). Correction: "Seen Through" Die Daten: Zeit zum Photographieren: Samstag 28 October to Sonntag 5 November Hochladen des Beitrags: Montag 6 November to Sonntag 19 November Abstimmung: Montag 20 November to Sonntag 3 December Viel Spass und Erfolg! Gruss Erl Zur Erinnerung hier nochmal die Regeln: Die Barnack Challenge findet vier mal im Jahr statt. Jedes Leica User Forum Mitglied ist Teilnahmeberechtigt. Zur Teilnahme muessen Sie einen Film belichten, wobei die Photos dem gestellten Thema entsprechen sollten und innerhalb der angegebenen Zeit enstanden sein muessen. Die Photos muessen mit einer Schraubleica oder einer fruehen Leica mit fest eingebautem Objektive entstanden sein. Alle Objektive mit Schraubanschluss unabhaengig vom Alter oder Hersteller koennen verwendet werden. Waehlen Sie das Photo das Ihrer Meinung nach am besten dem gestellten Thema entspricht und stellen Sie es in den entsprechenden Thread im Barnack Challenge Subforum. Die Bilder sollten nur minimal am Computer manipuliert werden (Post-processing) - nur solche Manipulationen sind zugestanden die auch in einer Dunkelkammer vor 50 Jahren moeglich waren. Sie koennen Ihr Photo in jeder den Forumsregeln entsprechenden Groesse einstellen. Das Abstimmen beginnt nachdem alle Beitraege in einem gegebenen Zeitraum eingestellt sind. Ihre Bilder sind nicht anonym, und sie koennen auch gerne den verwendeten Kameratyp, Objektiv und Film angeben. Nachdem der Zeitraum zum Hochladen der Bilder abgelaufen ist beginnt die Abstimmung. Jedes Forumsmitglied das abstimmt muss dreimal Punkte verteilen: Drei Punkte fuer das beste Bild Zwei Punkte fuer das zweitbeste Bild Einen Punkt fuer das drittbeste Bild Jedes Forumsmitglied kann einmal abstimmen, darf jedoch nicht fuer den eigenen Beitrag stimmen. Der Gewinner bestimmt das Thema fuer die folgende Barnack Challenge. Hello, Could anyone using CZ Jena Sonnar 50/1.5 share your experience regarding focus shift? I got mine in less perfect condition: stiff focus ring and focus shift, unable to focus at infinity wide open. Use it with Leica LTM to M adapter on M8. I brought it to local repairman, but he could only make the focus ring turns a bit smoother. Thus I am wondering, is focus shift just a "normal" behavior of this lens? Have been digging internet about this issue but seems most people talked about the sonnar ZM version. Thanks. http://petapixel.com/2016/01/21/the-lomography-jupiter-3-is-another-classic-soviet-lens-raised-from-the-dead/#more-199794 It seems for the extraordindary price of $649 (compared to the £30 I paid 4 years ago for a Zorki 4K with Jupiter 50mm (but mine might have been the Jupiter 8), Lomo will re-release this lens. The sample images are reminiscent of what I remember getting from mine (strong contrast). I recently got one Nikkor S.C 5cm f1.4 lens. It took me three adapters to make it work on my Sony A7 - the Nikon-Leica thread mount, the LTM to M mount and the Leica M to Sony NEX mount. Not too difficult and lucky that the focus is still correct after the stack of adapters. I have put other pictures at BigBigLens.com - Nikkor. I only started street photography a few month ago. I need critical comments. A local and still-skeletal oak tree waiting to burst into life. M9 & 1955 Summicron 5cm LTM.